^ robotics. Oxford Dictionaries. [4 February 2011]. ^ Pearce, Jeremy. "George C. Devol, Inventor of Robot Arm, Dies at 99", The New York Times, August 15, 2011. Retrieved February 7, 2012. "In 1961, General Motors put the first Unimate arm on an assembly line at the company’s plant in Ewing Township, N.J., a suburb of Trenton. The device was used to lift and stack die-cast metal parts taken hot from their molds." ^ Akins, Crystal. 5 jobs being replaced by robots. Excelle. Monster. [2013-04-15]. ^ Hoy, Greg. Robots could cost Australian economy 5 million jobs, experts warn, as companies look to cut costs. ABC News. Australian Broadcasting Corporation. 28 May 2014 [29 May 2014]. ^ 可荣·贲; 彦铎·张. 人工智能. 清华大学出版社有限公司. 2006: 349–. ISBN 978-7-302-12405-4. ^ A Ping-Pong-Playing Terminator. Popular Science. 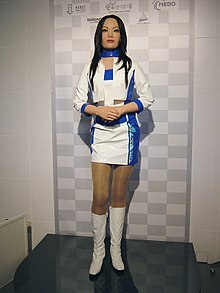 ^ AAAI webpage of materials on robot ethics 互联网档案馆的存檔，存档日期2011-08-05..
^ AAAI compilation of articles on robot rights 互联网档案馆的存檔，存档日期2012-04-06., Sources compiled up to 2006. ^ Scientists Predict Artificial Brain in 10 Years 互联网档案馆的存檔，存档日期2009-11-29., by Kristie McNealy M.D. July 29, 2009. ^ Hans Moravec. Robot Mere Machine to Transcendent Mind. Oxford University Press. 2000. ISBN 978-0-19-513630-2. 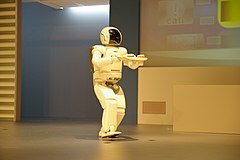 ^ Robots Almost Conquering Walking, Reading, Dancing, by Matthew Weigand, Korea Itimes, Monday, August 17, 2009. ^ Plug & Pray, documentary film by Jens Schanze about the possibilities of AI and robotics. ^ Scientists Worry Machines May Outsmart Man By John Markoff, The New York Times, July 26, 2009. ^ Call for debate on killer robots, Jason Palmer. BBC News, August 3, 2009. ^ Robot three-way portends autonomous future, By David Axe wired.com, August 13, 2009. ^ New Navy-funded Report Warns of War Robots Going "Terminator" 页面存档备份，存于互联网档案馆, by Jason Mick (Blog), dailytech.com, February 17, 2009. 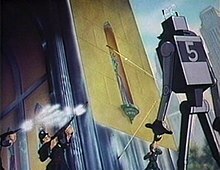 ^ Navy report warns of robot uprising, suggests a strong moral compass, by Joseph L. Flatley engadget.com, February 18, 2009. ^ New role for robot warriors;[失效連結] Drones are just part of a bid to automate combat. Can virtual ethics make machines decisionmakers?, by Gregory M. Lamb, The Christian Science Monitor, February 17, 2010. ^ Yan. Foxconn to replace workers with 1 million robots in 3 years. Xinhua News Agency. 30 July 2011 [4 August 2011]. ^ 27.0 27.1 Burke, Myles. Transformers take Japanese robotshow by storm. The Daily Telegraph. 2009-11-25 [2010-01-18].